The Freedom of the City is an honour bestowed by a municipality upon a valued member of the community, or upon a visiting celebrity or dignitary. Arising from the medieval practice of granting respected citizens freedom from serfdom, the tradition still lives on in countries such as the United Kingdom, Ireland, Australia, Canada, South Africa, and New Zealand – although today the title of "freeman" confers no special privileges. The Freedom of the City can also be granted by municipal authorities to military units which have earned the city's trust; in this context, it is sometimes called the Freedom of Entry. 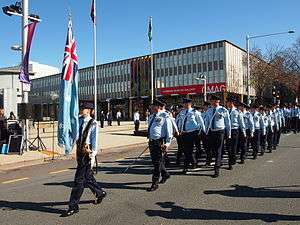 This allows them the freedom to parade through the city, and is an affirmation of the bond between the regiment and the citizenry. The honour was sometimes accompanied by a "freedom box", a small gold box inscribed to record the occasion; these are not usual today. In some countries, such as the United States, esteemed residents and visitors may instead be presented with the Key to the City, a similarly symbolic honour. Other cities award Honorary Citizenship, with just a certificate. Before parliamentary reform in 1832, freedom of the city or town conferred the right to vote in the 'parliamentary boroughs' for the MPs. Until the Municipal Corporations Act 1835 the freemen were the exclusive electorate for the boroughs. These two acts together curtailed the power of the freemen and extended the franchise to all 'householders' (defined as local rate payers; in fact therefore property owners). The private property belonging to the freemen collectively was retained. The freemen of York, Oxford and Newcastle upon Tyne still own considerable areas within their towns, although the income is effectively given to support charitable objects. The Local Government Act 1972 specifically preserved freemen's rights. The Local Democracy, Economic Development and Construction Act 2009 removed any restrictions entitling only men to be freemen. Today, the grant of honorary freedom in the United Kingdom is governed by the Local Government Act 1972 (as amended by the Local Democracy, Economic Development and Construction Act 2009). The 1972 Act enabled the councils of cities, royal boroughs, boroughs, and parishes (or, in Wales, communities) with the status of a royal town to confer the status of honorary freeman on "persons of distinction and persons who have, in the opinion of the council, rendered eminent services" to the local area. The 2009 Act extends the ability to grant the status of Freeman to any county, city, district, borough, town, parish or community council (so removing the requirement for the town to have 'royal' status, and also enabling county councils to confer the honour). A special meeting of the council can grant the honour by passing a resolution with a two-thirds majority at a specially convened meeting. In England, the most extensive borough freedom is that conferred by the Freedom of the City of London, first recorded in 1237. This is closely tied to the role and status of the livery companies. 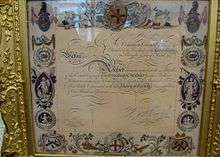 From 1835, the freedom "without the intervention of a Livery Company" has been bestowed by a general resolution of Common Council, by "redemption" (purchase), at one time for an onerous sum, but now for a donation to the Freemen's School. On 8 April 2013, Stephen Fry tweeted that he and a fellow Freeman identified as Doris walked Grace, a year old lamb, across London Bridge. This was filmed and shown on his documentary series Stephen Fry's Key to the City. Prior to 1996, the Freedom was only open to British or Commonwealth Citizens over 21 years of age and of good character. There is a long-standing tradition of admitting women, who used to be called 'free sisters' but who are now also called Freemen. In some cities in the Netherlands, Belgium, and Germany, the key to the city is given to the so-called "Prince carnival" who leads the carnivals which take place the week prior to Septuagesima. The tradition is that the mayor steps down for this period and power is transferred to the prince carnival, who then returns the key at the end of Shrove Tuesday/Mardi Gras. Today, the handing over of the key is mostly symbolic and marks the start and end of the carnival. In Calgary, Alberta, Canada, instead of a key, esteemed visitors receive a white cowboy hat and usually recite one of two oaths (one formal, the other more silly) to become honorary Calgarians. 1 2 "1985 – 75th Anniversary Naval Service of Canada". Royal Canadian Navy. Retrieved 21 November 2012. ↑ "The Gild of Freemen of the City of York". Retrieved 24 June 2011. ↑ "The Moor". The Freemen of Newcastle upon Tyne. Retrieved 13 November 2013. ↑ "Freedom of the City". City of London. Archived from the original on 13 January 2016. 1 2 "Protest Freeman herds sheep over Tower Bridge". BBC News. 19 August 1999. Retrieved 15 November 2010. ↑ "Sheep flock driven through city". BBC News. 17 June 2006. Retrieved 4 January 2010. ↑ "Sheep marched over London Bridge". BBC News. 31 August 2008. Retrieved 4 January 2010. ↑ "Sheep march over bridge for money". BBC News. 19 September 2008. Retrieved 4 January 2010. ↑ Fry, Stephen. "With my new friend Doris (a fellow freeman of the City of London) we drove Grace, a year old lamb, over London Bridge.". Twitter. Retrieved 18 November 2013. ↑ Bennett, Asa. "Why was Stephen Fry walking a sheep over London Bridge?". London Loves Business. Retrieved 18 November 2013. ↑ "Key to the City of New York". New York City Commission for the United Nations, Consular Corps and Protocol. Retrieved 6 November 2011. ↑ "White Hat Ceremony". Visit Calgary. Archived from the original on 22 November 2012.